When we talk of the butchers, bakers and candlestick makers that ran our football clubs as their own fiefdoms for most of the twentieth century, there is perhaps one man that, above all others, has come to be considered the personification of the genre: Bob Lord – or, as the football writer Arthur Hopcraft once famously described him, The Khruschev of Burnley. Lord was, perhaps, the aultimate football autocrat. Indeed, the actor Timothy West would use Lord as an inspiration for his portrayal of the hard-nosed Bradley Hardacre in the television series Brass. Lord was the chairman of Burnley Football Club for twenty six years, from 1955 until just three months before his death in 1981. He ruled the club with an iron fist, but also sat on the board of the Football League and was the president of the Alliance Premier League upon its formation in 1979. Lords chairmanship coincided with the most successful period in the clubs history, but he was also involved in controversial player sales, frequent spats with the press and, perhaps most mysteriously of all, with the resignation from the Football League of a fellow football club that also happened to be amongst Burnleys local rivals. Born locally in 1908, Lord started working as a butcher in 1927 at the age of just nineteen and his business eventually grew to fourteen butchers shops. He had been a supporter of the club since childhood and first attempted to join its board of directors in 1950. This particular attempt to join the board was blocked, but when another position became available the following year Lord was the sole applicant and was duly appointed. Within four years he was the chairman of the club, and over the next nine years Burnley didn’t finish below the top ten in the First Division, winning the title in 1960 and finishing as runners-up in both the league and the FA Cup two years later. In the same year, Lord was asked to advise on the situation at nearby Accrington Stanley, who were adrift at the foot of Division Four and heavily in debt, by the clubs vice president Sam Pilkington. At a creditors meeting at the start of March 1962, however, it was established that the clubs debts were, at £62,000, higher than previously understood. Lord’s reaction was to tell the clubs remaining directors that immediate resignation was their only option. The club sent this resignation in to the Football League but then had a change of heart and sought to get it rescinded, only for the Leagues secretary Alan Hardaker to refuse to accept anything other than their original resignation letter. Had Lord, however, been giving honest advice to the club, or was he acting more in the best interests of Burnley FC, who would now have one less competitor in a part of the country crowded with Football League clubs? It is not a question that has ever been conclusively answered one way or the other, but there remain plenty in Accrington who believe that Lords brief involvement in their club was less than honorable. Back at Turf Moor, however, the good times were coming to an end and both of the major significant changes in the culture of English football – the ending of the maximum wage and the beginning of the regular televised coverage of Football League matches – were issues that Lord had strident opinions on. He would later come to place the blame for his clubs decline on the ending of the maximum wage, which allowed clubs with greater revenues – of which there were many, with some of them being within a few miles drive of Burnley – now allowed to offer considerably greater wages than they had previously been permitted to, but if he had been opposed to this shift in the economics of football, then the introduction of regular televised football was became another foe that Lord would attempt to take on head first. 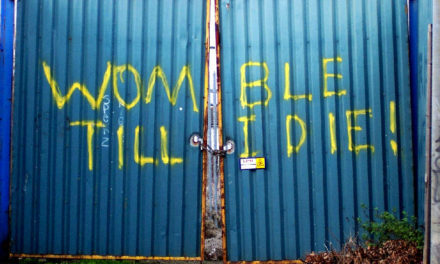 Lord banned the television cameras from Turf Moor from five years between 1964 and 1969, stating that televised football would “damage and undermine attendances,” (or, as he would later put it rather more, well, “earthily” in a speech at the Variety Club which so outraged the chairman of Leeds United, Manny Cussins, to such an extent that Cussins stated that he would walk out of the boardroom at Elland Road should Lord ever visit there again, “We have to stand up against a move to get soccer on the cheap by the Jews who run television”, but, we could also ask, how many local supporters might the club have missed out on as it sat in a self-imposed television exile whilst the giants of north-west football such as Manchester United, Liverpool and Everton received massive national exposure due to regular coverage on Match Of The Day whilst being able, for the first time, to spend significantly more money on players wages? It would be the sale of a star player, however, that would come to reveal the extents to which Lord would go in order to maintain his control over Turf Moor. Jimmy McIlroy, an elegant midfielder, had joined the club from Glentoran in 1950 and went on to make almost five hundred appearances for the club over the next twelve years. In 1962, however, he was suddenly and unexpectedly sold to Stoke City. It wasn’t just the supporters of the club that were caught off-guard by this sale. McIlroy himself only found out about it after reading about it in the local newspaper. McIlroy himself kept quiet on the subject until 1999, but it later became apparent that Lord had forced the teams manager, Harry Potts, to put the player on the transfer market because of his close friendship with the family of one Reg Cooke, a former vice-chairman of the club whom Lord detested. If he wants to take this to The Football League, Mr. Bates can do. If he wants to take it to the Football Association, he can do. If he wants to take it to the Board of Trade, he can do. In fact he can take the matter just where he likes as far as we are concerned. We must emphasise that the articles of association of Burnley Football and Athletic Company Limited clearly state that the directors may refuse to register any share transfer without giving a reason. Bates, who had stated that he didn’t wish to become a director of the club and only wanted to invest money in the club that he supported, would eventually take over to Oldham Athletic, and in January 1966 he would appoint… Jimmy McIlroy as the clubs manager. While Burnley FC continued to decline, however, Bob Lords personal stock continued to wise and, after nine years of trying, he was admitted to the Football League’s Committee in 1967, although attempts to become its vice-chairman were voted down on two separate occasions. Burnley FC was relegated from the First Division in 1971, although it won promotion back two years later. At the start of the 1974/75 season, the club completed construction of a new stand at Turf Moor named, somewhat vaingloriously, The Bob Lord Stand. The stand had cost £300,000 to build, but within days of its completion the club sold one of its brightest prospects, midfielder Martin Dobson, to Everton for… £300,000. 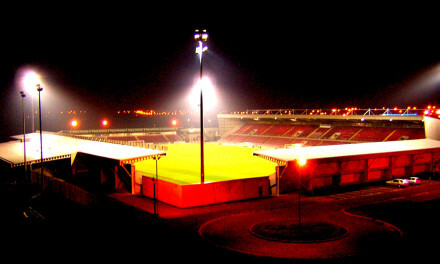 Lord stated that the naming of the stand stand had come “as a complete surprise to me”, but few were convinced and The Bob Lord Stand was to become informally known amongst supporters as The Martin Dobson Stand. In 1976, Burnley FC were relegated from the First Division and this time there would be no swift return. By 1985, the club would be in the Fourth Division, but this would not be an indignity that Bob Lord would live to see. He was made President of the Alliance Premier League (now better known the Football Conference) upon its creation in 1979 and, following the resignation of Lord Westwood in March 1981, he was also appointed as the acting President of the Football League in March 1981. By this time, however, Lord was in bad health and he was forced to give up this position just three months later. A further three months down the line, Lord resigned his chairmanship of the club and sold the majority of his shares in the club, all but ending the thirty years of his involvement in the Turf Moor boardroom. Bob Lord died of cancer on the eighth of December 1981, at seventy-three years of age. The epitome of autocracy, Bob Lord was a chairman – one of many – that didn’t keep up with the changing face of football during the 1960s and 1970s. Although Burnley’s decline would be mirrored elsewhere – the abolition of the maximum wage would be extremely damaging to a certain type of football club – the McIlroy and Dobson sagas were indicative of a man that occasionally seemed to pick fights with others for something approaching the pleasure of doing so. Over the course of three decades, he entered into wars of words with rival club chairmen, the Football League and the FA, supporters and journalists whilst climbing the greasy pole, almost to the very summit of English football administration. Thirty years after his death, it seems unlikely that we will see too many of his type again, although traces of his idiosyncratic style of chairmanship continue, regrettably, to survive within the game. It is likely that they always will, to some extent. I sometimes wonder if a salary cap – say a very comfortable £200K a year – would be one step to solving the ills of the modern game. I doubt it. Apart from the fact that it wouldn’t stand up to any sort of legal challenge – if you pay the players £200k, where does the rest of money within football go? The Bob Lord’s of the current generation. The Football Conference play-off trophy is called the Bob Lord Trophy – I wonder whether Accrington would accept the Trophy should they ever get relegated and bounce back through the playoffs. Still a little puzzled really on the Accrington issue; why was Bob Lord asked for advice in the first instance? And when that advice turned out to be ‘commit football suicide’, why did Accrington take this advice so readily? Why weren’t there other options to be explored?